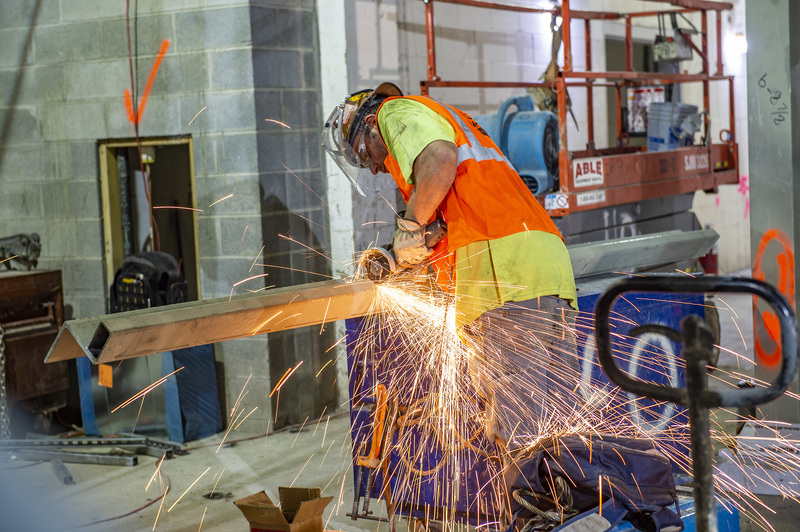 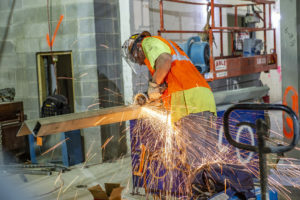 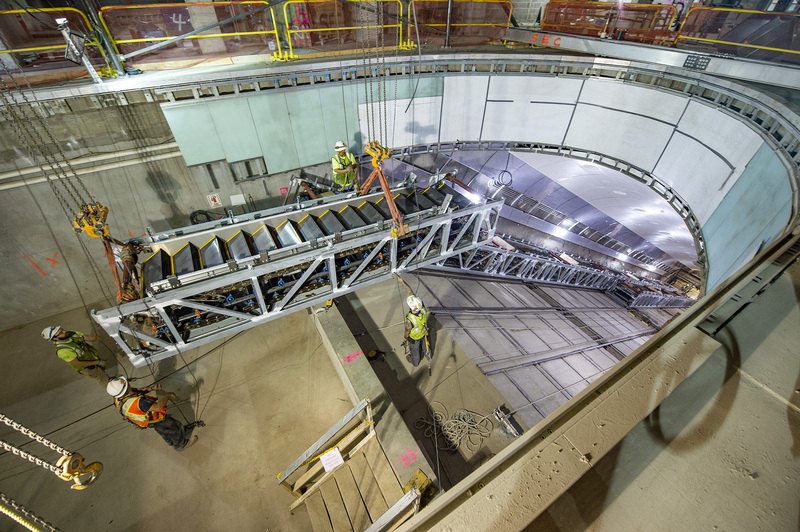 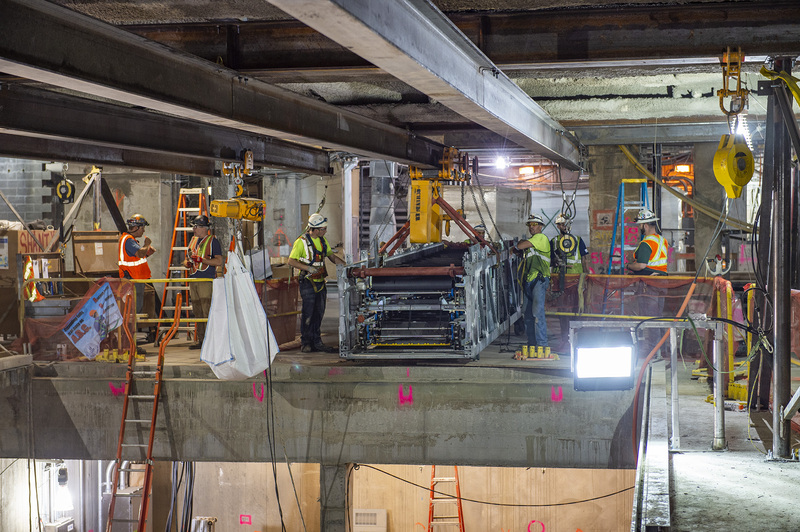 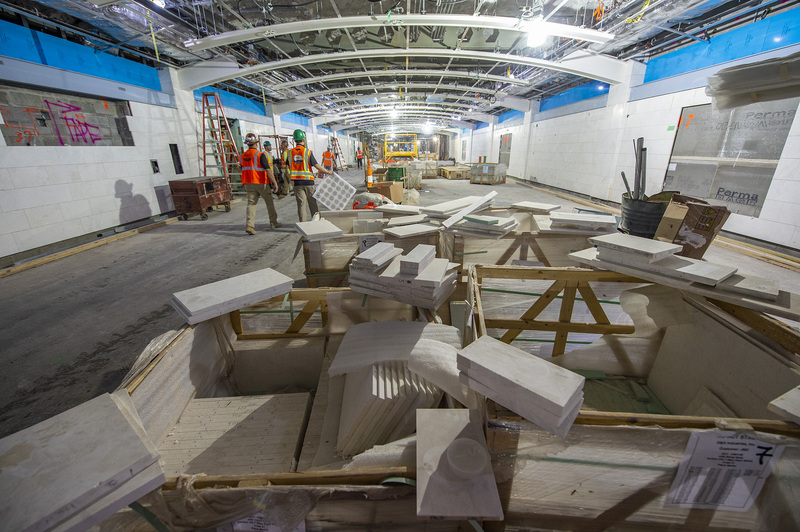 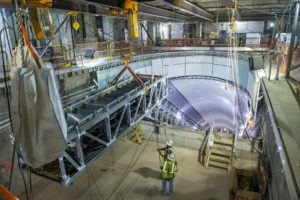 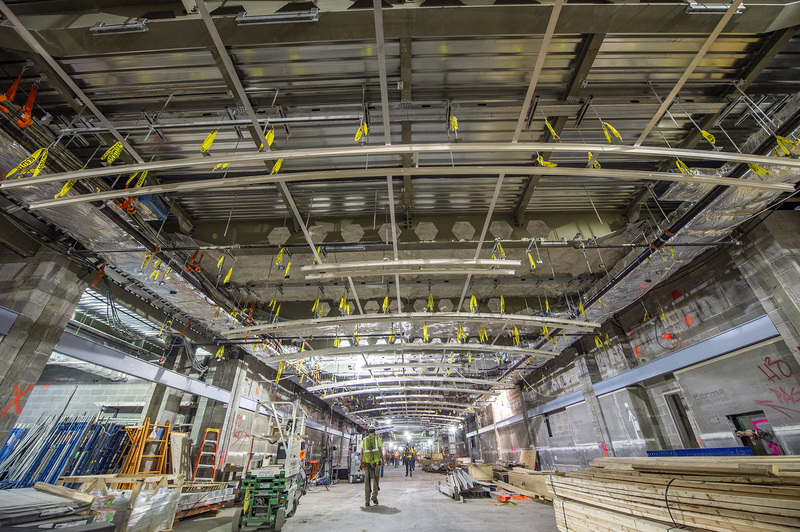 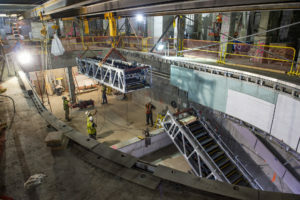 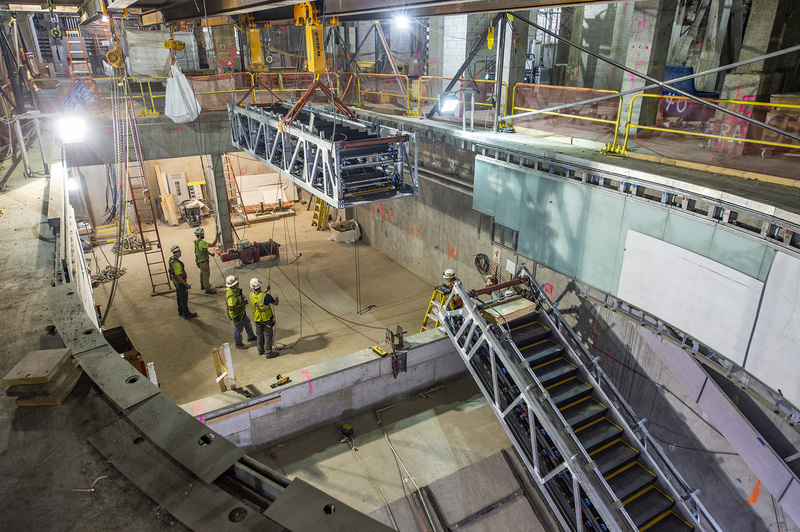 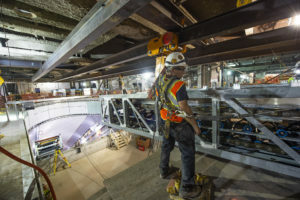 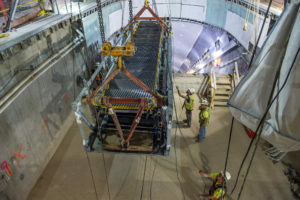 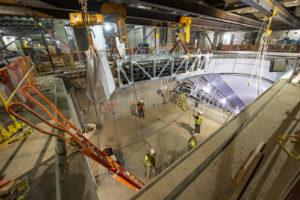 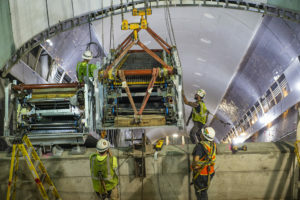 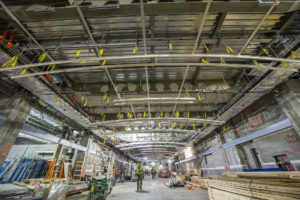 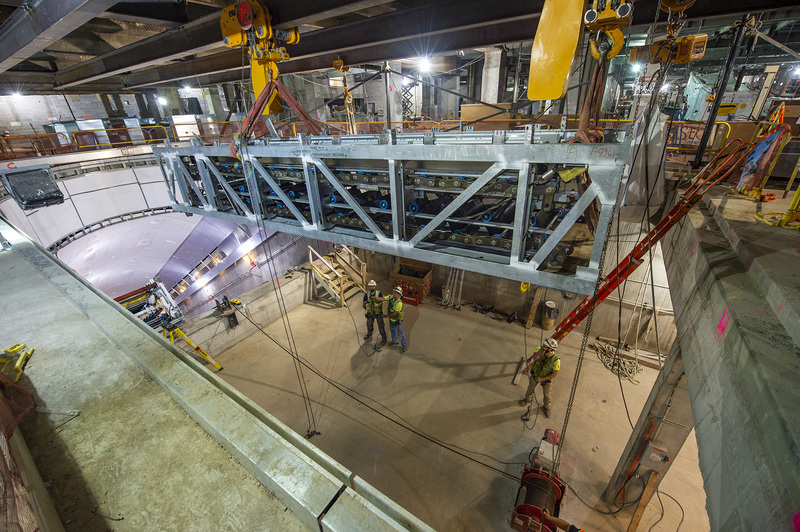 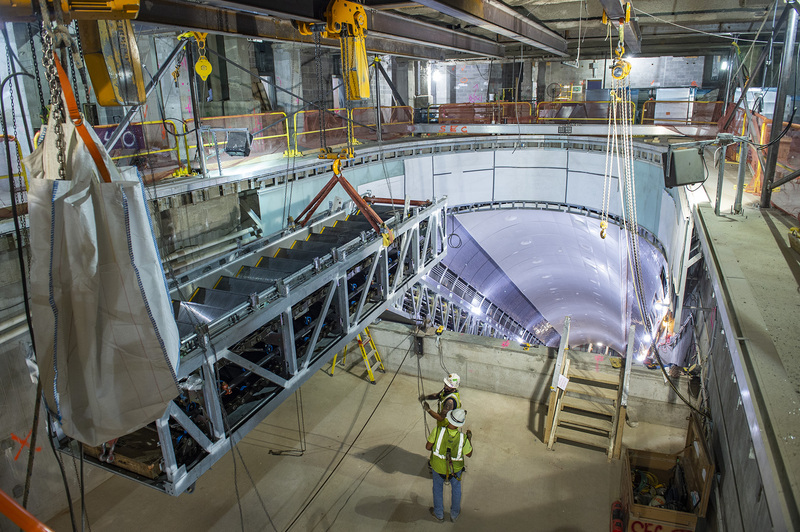 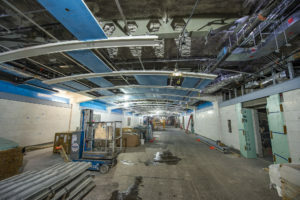 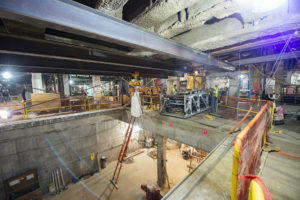 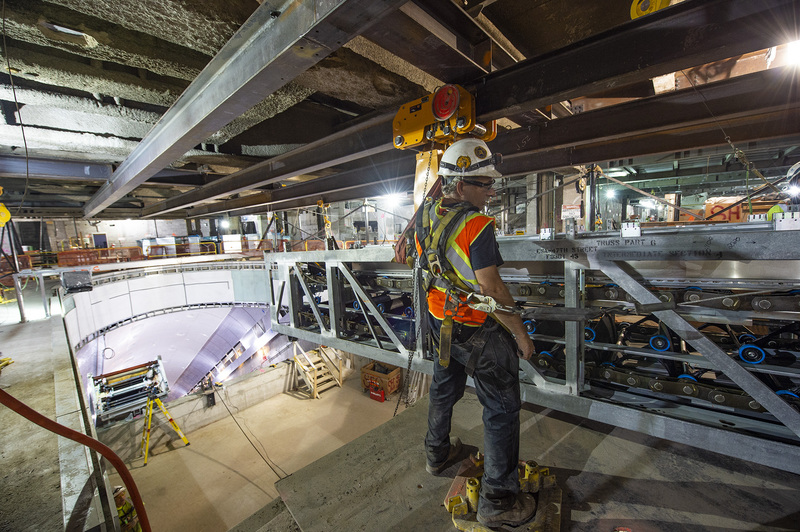 East Side Access contractor Schindler Elevator Corporation continues to install escalators between the future Long Island Rail Road passenger concourse and the terminal, which has a total of four passenger escalator wellways and 17 high-rise escalators. 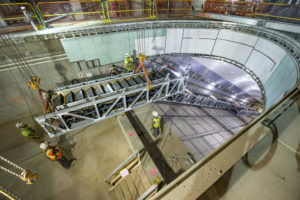 Each escalator wellway aligns to a cross street above the concourse at 45th, 46th, 47th and 48th Street; at 45th and 46th Streets the escalator components have been placed and are undergoing testing, while contractors are currently installing and assembling the escalators at 47th and 48th Street. 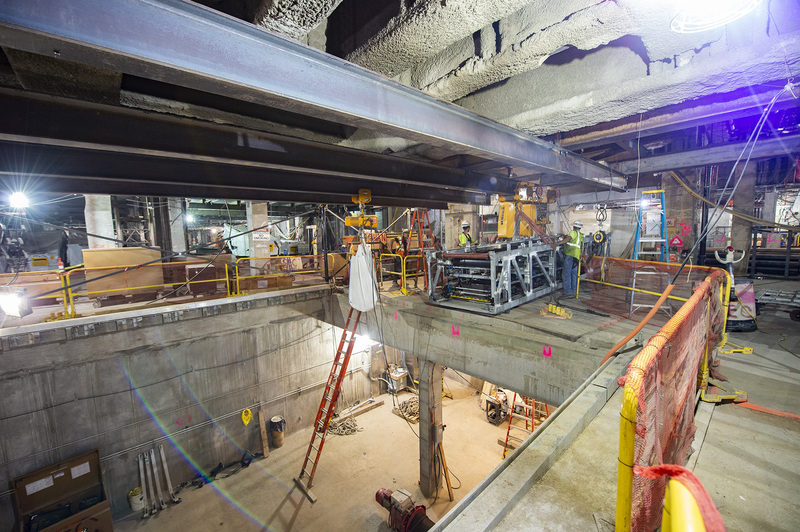 This photo series illustrates the recent installation of one of 40 escalator of escalator components at 47th Street in Manhattan.